According to the latest quarterly Bryant Park Capital/deBanked survey of industry CEOs, confidence dropped to the lowest levels since the survey first began in Q4 2015. 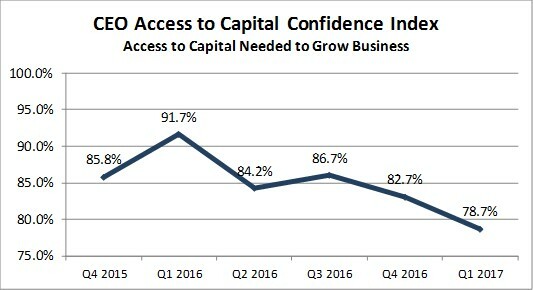 Specifically, confidence in being able to access capital needed to grow dipped down to 78.7% from 82.7% in the prior quarter. 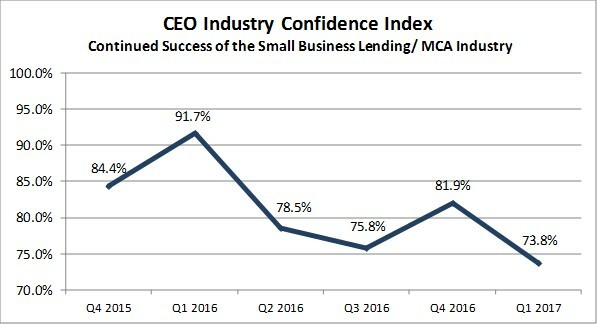 Confidence in the continued success of the Small Business Lending & MCA Industry shrank from 81.9% in Q4 to 73.8% in Q1. The survey does not ask participants to offer a reason for their confidence but the drop could probably be partially attributed to the events that occurred at CAN Capital, OnDeck’s struggles, and a general correction that took place at several other competing firms.